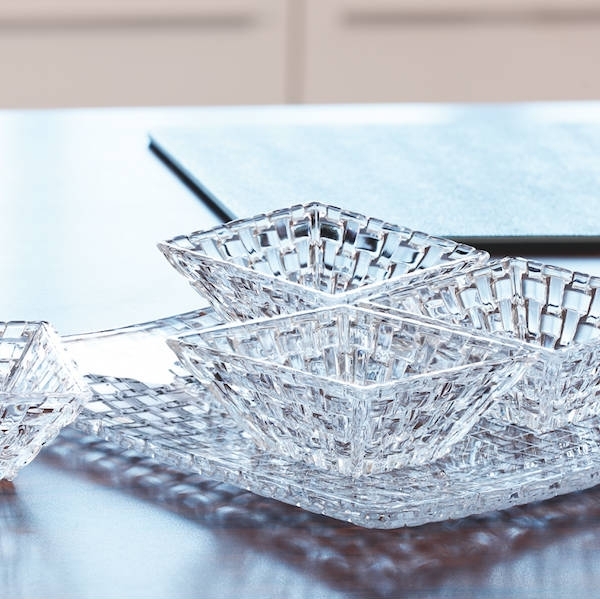 CRYSTAL SET APPETIZERS, Since 1834, Nachtmann offers an assortment of designer products and high quality. Great importance is given to the search for perfection. This results in carefully selected raw materials. Discover the collections Nachtmann, and marvel at the purity of the material. The trendy collection of Nachtmann features decorative glass goblets, vases, plates and bowls as well as gift items of superior quality. The appeal of crystal from Nachtmann lies in its unique brilliance and perfect finish. Nachtmann attach great importance to reaching the highest quality standards, using the purest raw materials and employing technology that is environmentally friendly.